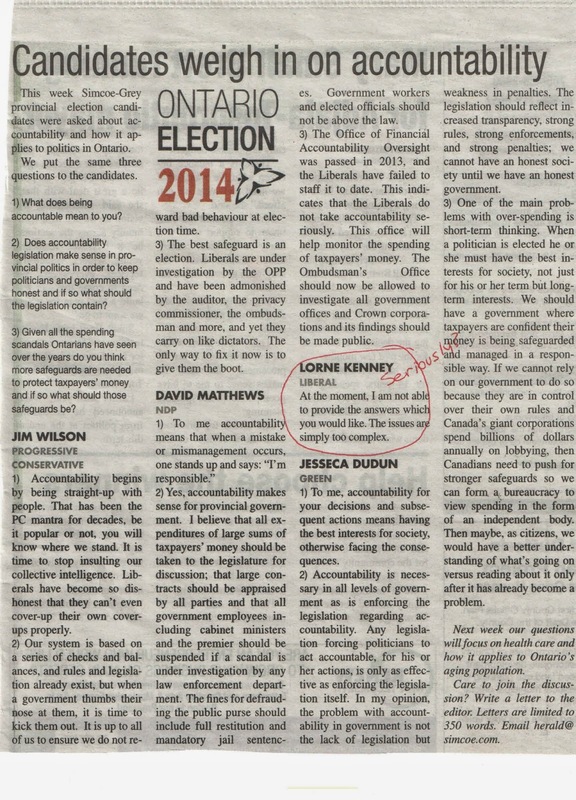 This past week our local paper (The Herald) here in Alliston asked each of the candidates in our riding several questions about what accountability means to them. The answer from the Liberal candidate Lorne Kenney blew my mind. I can't wait for this week's question on health care. Here is a scanned copy of the questionnaire. WTF is wrong with Ontario?